BM Automation is your system integrator towards steel industry 4.0. VERONA (IT). BM Automation completed the modernization of the Pressure Swing Adsorption (PSA) automation and the plant is now in production. PSA is a technology used to separate some gas species from a mixture of gases under pressure, according to the species’ molecular characteristics and affinity for an adsorbent material. 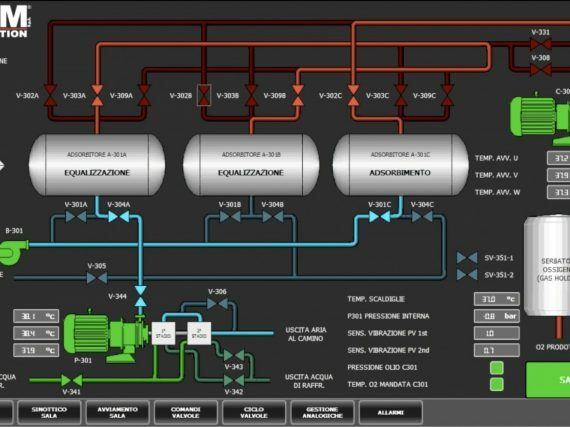 This project is part of the 4.0 modernization plan of the Italian Acciaieria di Verona S.p.A., because thanks to this system it is possible to keep track of production consumption and quality of the produced oxygen.